Cranks differ first in the shape of the interlocking that connects cranks to the hub. 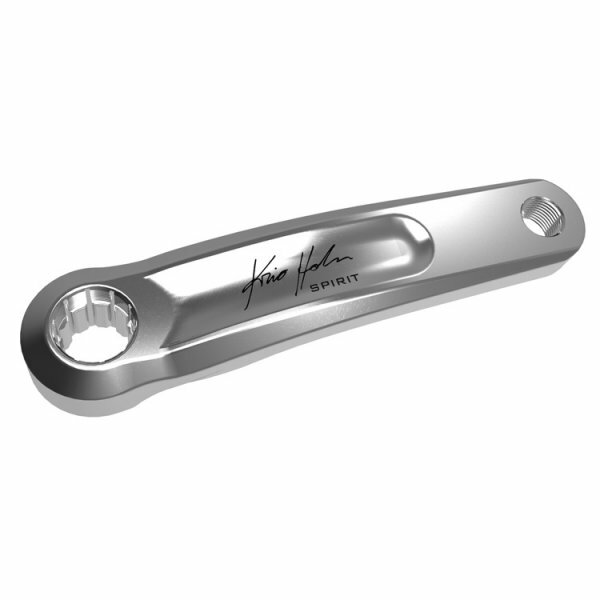 * similar to the ISIS ones, but different in size, so that cranks and hubs have to be of the same manufacturer and must have the same design. With the definition "Proprietary" we understand that the system is used only by a producer. It is the contrary of "standard", which means that the product is "open" and can be used also with elements from third parties. The Q-factor is basically the distance between the pedals. The higher is the Q-factor, the better is the lateral stability. The lower is the Q-factor, the more accurate will be your riding and you will move easier on one foot. As in cycling, with the improvements of the performances we are also seeking the best fluidity and this means to have a Q-factor near zero. As regards the cranks: the Q-Factor will be equal to zero if the cranks are at 90oC with respect to the hub. In this case, a further improvement of the Q-Factor is only possible if we mount a narrower hub. Racers and freestylers often mount 90 mm hubs or less, instead of the standard 100mm. 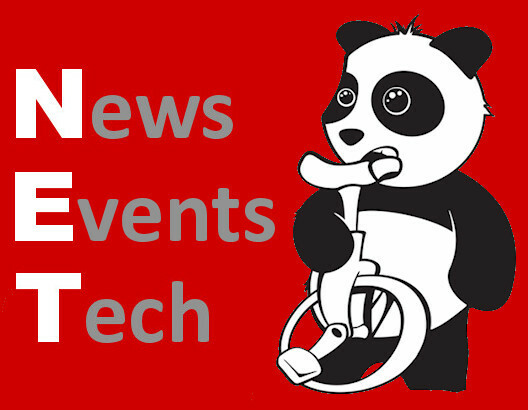 We have a consolidated know-how in the design and development of Unicycle spare-parts mainly for competition. Up to now, we have developed 5 different types of mechanical coupling (5-Pin, 6-Pin, 6-PinShort, 10-Pin, ISIS standard) and more than 30 types of cranks in different lengths and with different coupling systems. 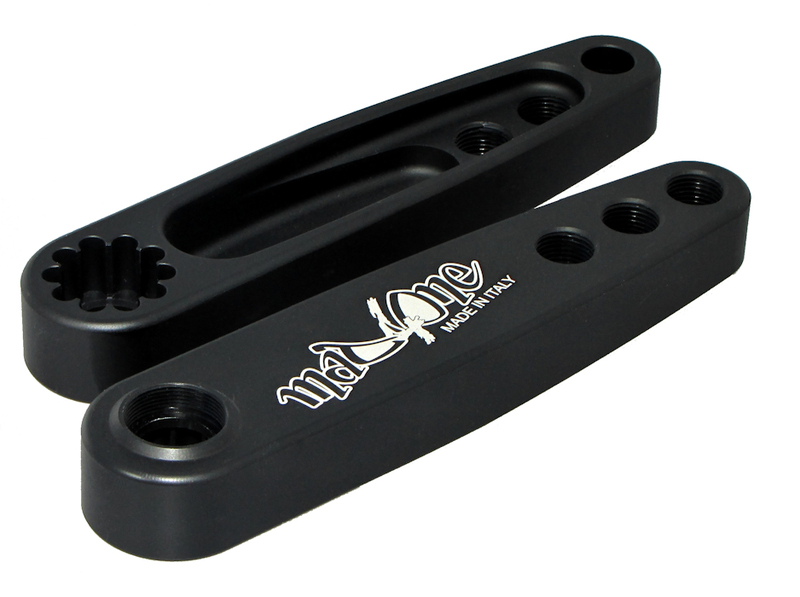 is the new line of forged standard ISIS-cranks, available in the following versions: 1, 2 or 3 holes. Good balance between functionality-price-robustness. Axel Kästle says: "I ride the cranks now 2 weeks! The feeling from the old and the new cranks are the same! Maybe at grinds the new one is a little bit slifer! I'm 100% happy with the new cranks!" Pierre Sturny says : "Hi everybody! 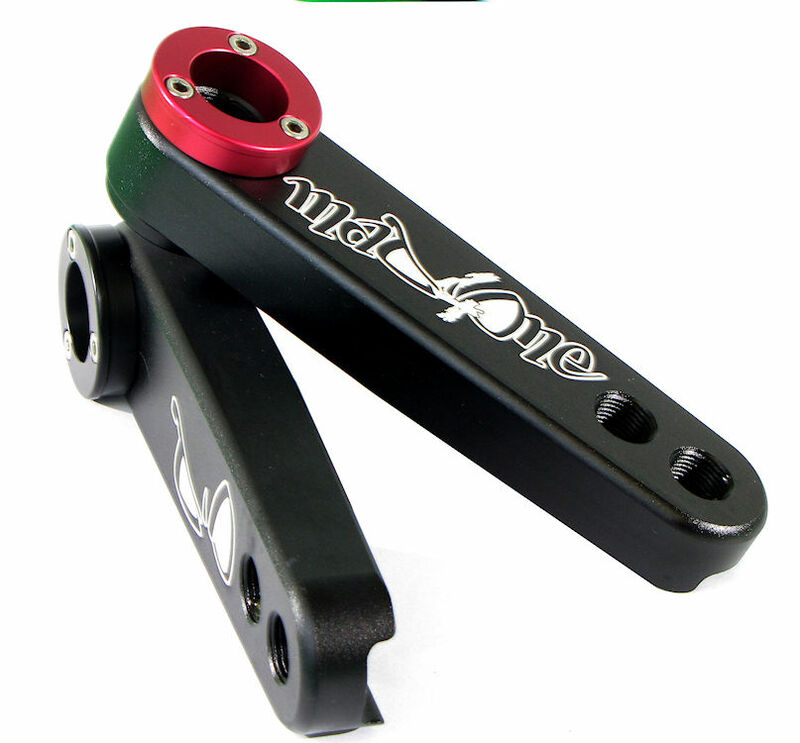 I'm proud to ride with the new Mad4one 125mm Tecno Cranks since two weeks now! 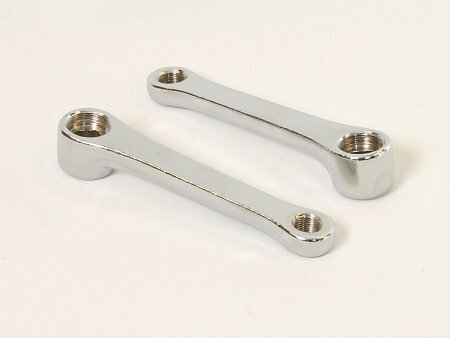 I believe these are the best cranks ever. 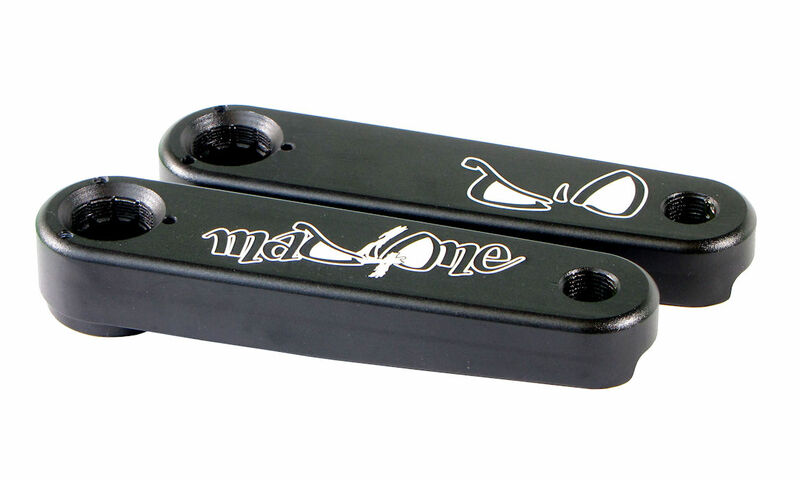 The design is really nice, with the mad4one logo like the old ones. The shape is really different from the old ones, and I'm sure they are unbreakable. The isis system is also different, with no Pins, it's easier to mount on your Isis axis. I use them for flatland and street now, with the new rollos, on my opinion that's the best system for flatland combos. 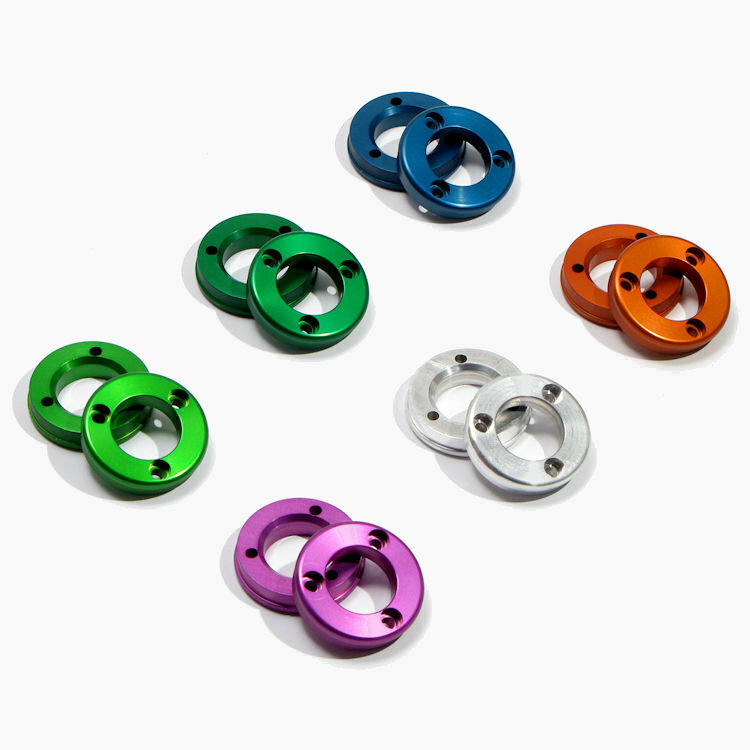 You can also have them on 135mm, perfect for Trial riding. The best news is the price, more or less half than the old ones. Enjoy your ride, with Tecno! 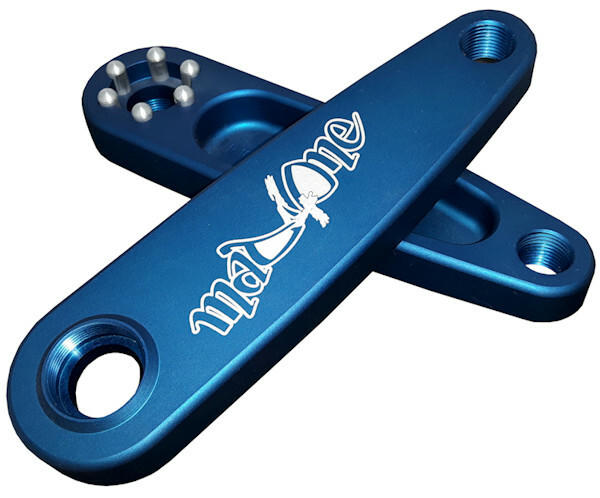 Pierre"
Patrick Schulte says :" As one of the testers of the new Mad4one Cranks the techno cranks, I want to travel with you back in time where I started to learn all the flat tricks. 7 years ago I had cranks that were so dangerous to use. My foot smashing against the sharp edge, caused me to walk with pain for 2 weeks. Every other week I had to get myself a new pair of shoes because they all got wrecked. What would life be if I had cranks like the techno Mad4one one's. The edge is softly and with the Madapter you have a big surface which makes rolls a lot easier, and saves the life of your shoes a lot ;) For flatland I would recommend you the 125mm version, but my personal favorite is the 114mm, yes size does matter ;) Of course with Madapter in your preferred color, individualize your Unicycle. 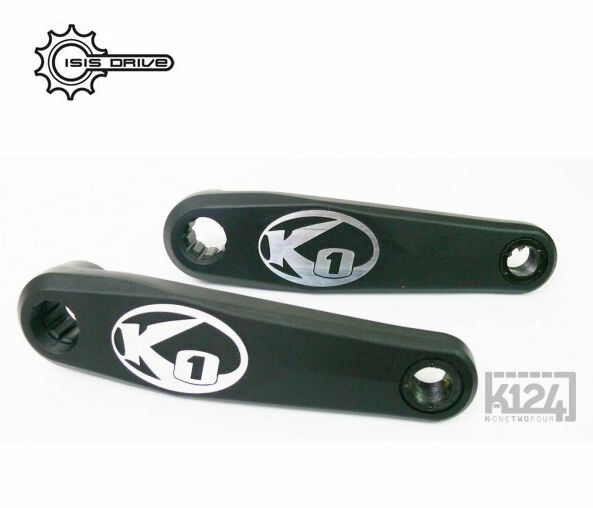 In general, if you are quite new to Street, Trial and Flat and looking for solid cranks go for the tecno M41's!" Adrien Delecroix says : "riding with them is very good, obviously I speak of flat and trial.... I do not see a lot of difference between the MAD-TECNO and the old Mad4One... they look very strong and also the shape looks strong.... the MAD-TECNO do not touch the frame any more, they are smaller....", but let's see Adrien's video (https://www.youtube.com/watch?v=AmpA_zcQ8v8&index=5&list=PLDdLzmenZIzT23gRMyT8leORJqdT-B1Ju)! 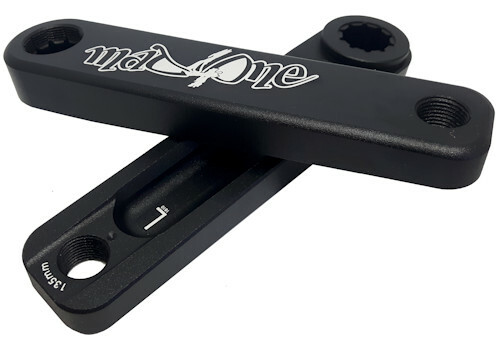 Oskar Ritter says: "First of all, despite the new shape, I think the new Mad4One techno cranks feel almost exactly like the normal Mad4one cranks. But the new shape makes them a lot stronger, without the weight being increased remarkably. Also the standard Isis system, without pins, makes it even easier to mount. 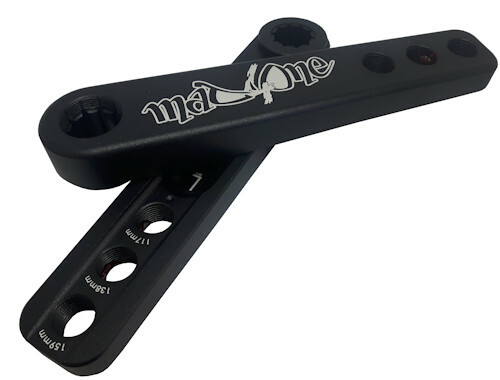 So the cranks are stronger, perfectly shaped, only a little bit heavier than the previous model, and best of all, half the price of the original Mad4One cranks. I highly suggest them". 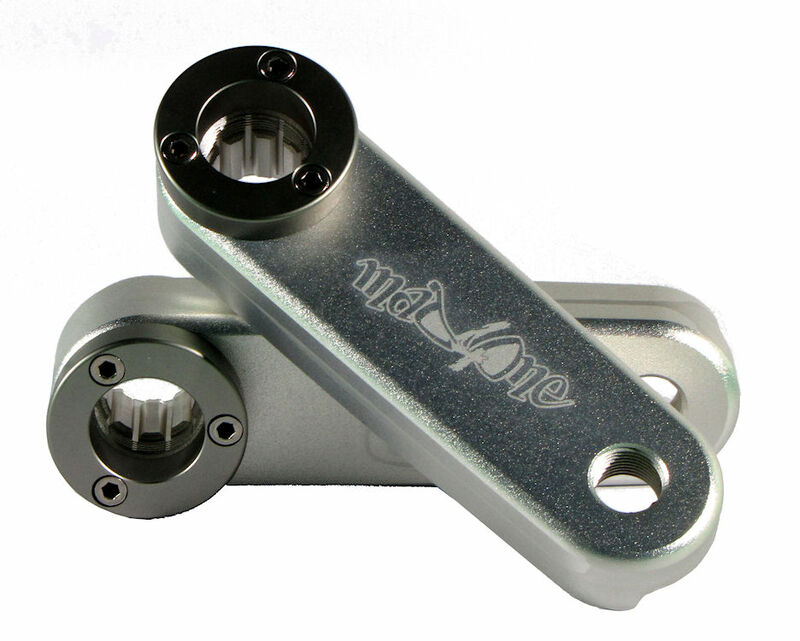 Eli Brill says: "The new Mad4One Tecno cranks are rugged and sleek, and flip faster than any crank I've ever ridden. The zero Q design is also ideal for roll combos. 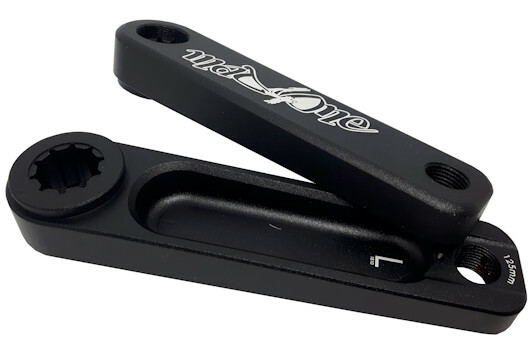 I've been riding Mad cranks since the first prototype batch in 2010, and this new evolution is a welcome improvement to cranks that were already my favorite." 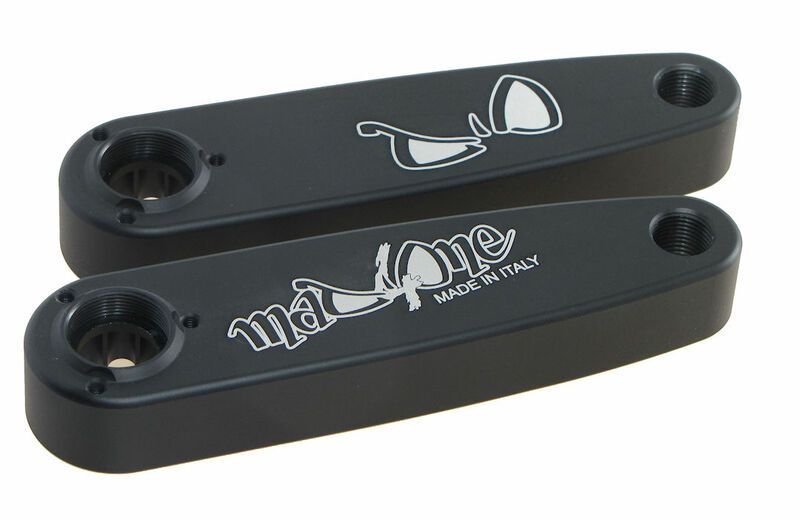 The Product Manager, Marco Vitale, says: “These cranks born in my mind as training cranks, being strong enough to resist any kind of “mistreatment” for long time, they should, however, be not so expensive. The pedal thread is an important issue. We experienced, that nothing wrong happens to the thread, if you tighten your pedals in the proper way, but it is enough to ride once with loose pedals, that you rip the thread. Now, after the first tests on the TECNO cranks I’ve learned, that Shape and Design are more important than the pure weight. 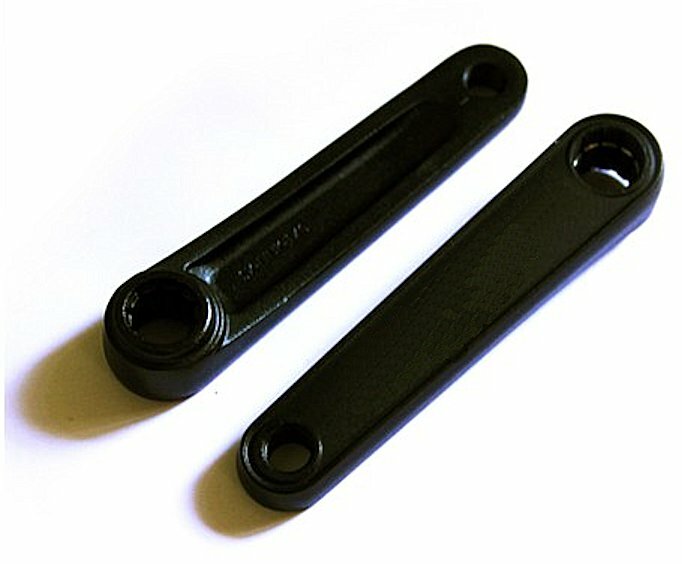 Many testers have reported that the TECNOs’ weight is similar to the one of the old heavy cranks, but they work close to the lightest Mad4one, and their stiffness makes you feel safer. Thank you to the MAD TEAM, that testing our products always helps us to improve!". 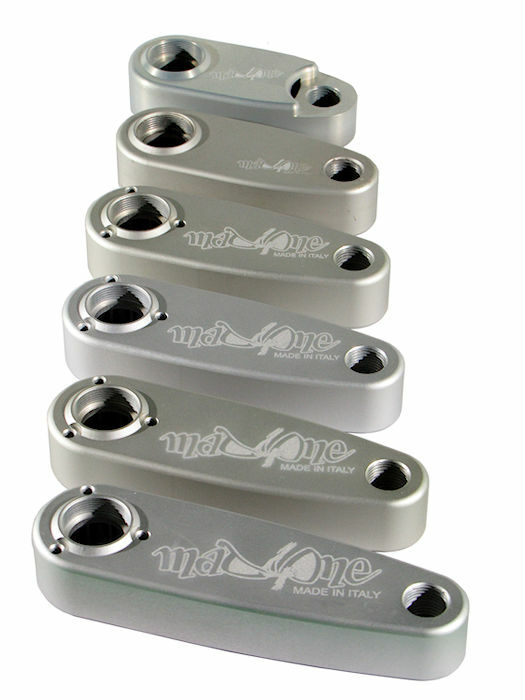 Over the year we developed a valid partnership with innovative CNC mechanical Centers in Italy, where the MAD4ONE Cranks made in Italy have been designed and produced. Thanks to this collaboration the Product has been as much as possible optimized and we achieved a valid balance between weight and fatigue. 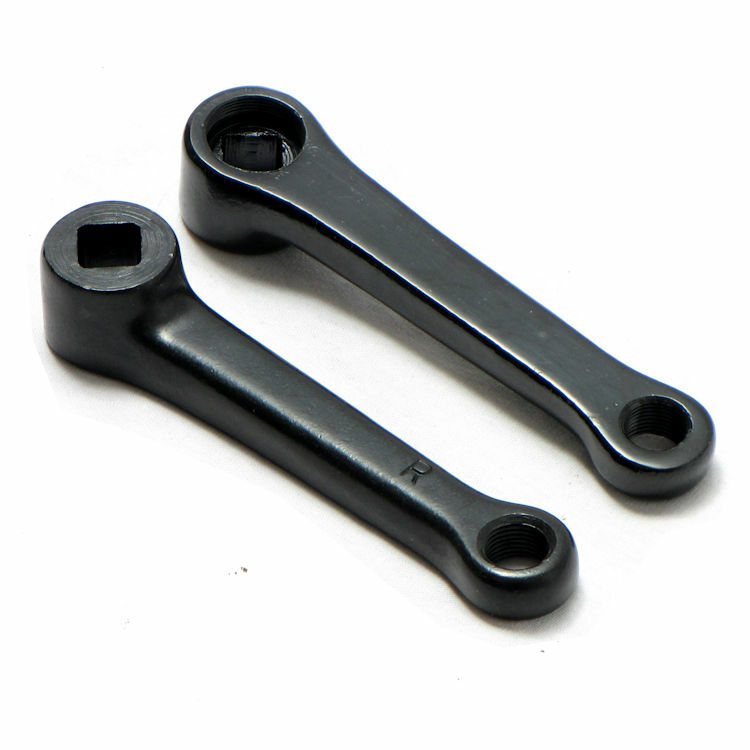 The 6- and 10-Pin MAD4ONE cranks are the right Product for RACING, where the best efficiency and performance are required, in spite of the duration of the product (let's think of the Formula1's Rally. Here some strategic components have a limited lifetime, however, their characteristics are crucial to achieve the goal). 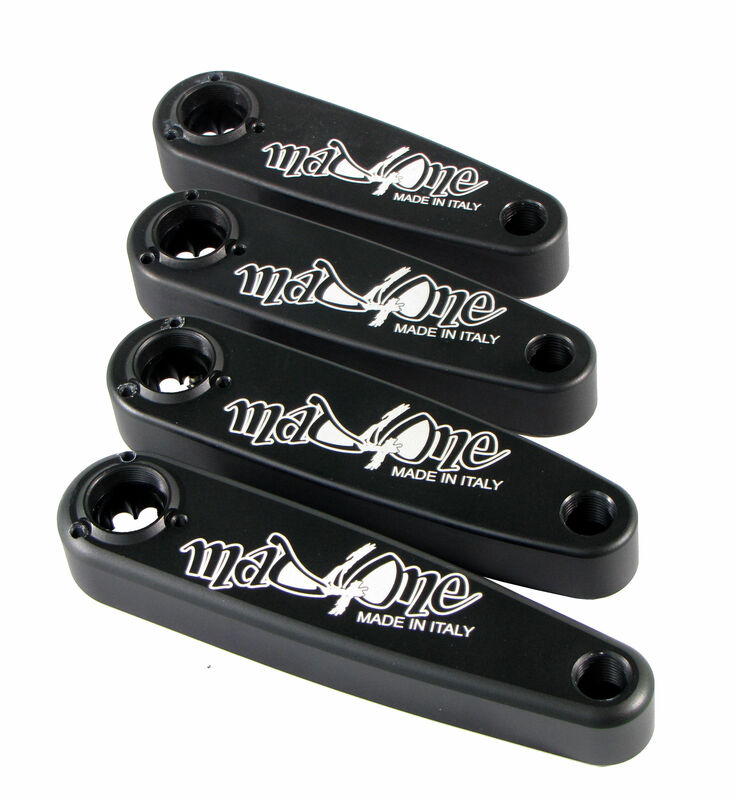 The MAD4ONE 10-Pin Cranks are 100% compatible with any ISIS-Hub and are made by CNC in ERGAL Alloy 7075. 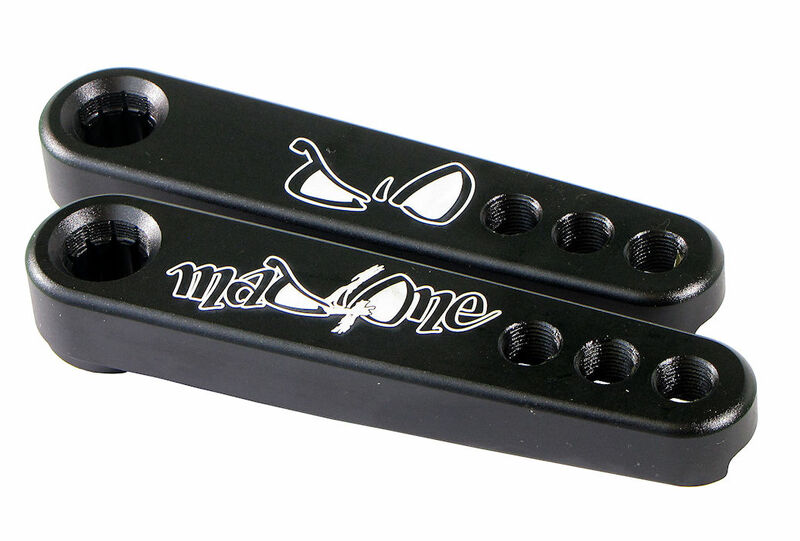 The 6-Pin is MAD4ONE proprietary solution, compatible only with 6-Pin parts produced by MAD4ONE. 6-Pin Hub 100mm, 6-Pin Disc Hub 100mm, 6Pin cranks. The 6-Pin differ from the 10-Pin in the diameter of the hub axle. The ISIS hubs have a diameter of 22mm, the 6Pin a diameter of 25mm. 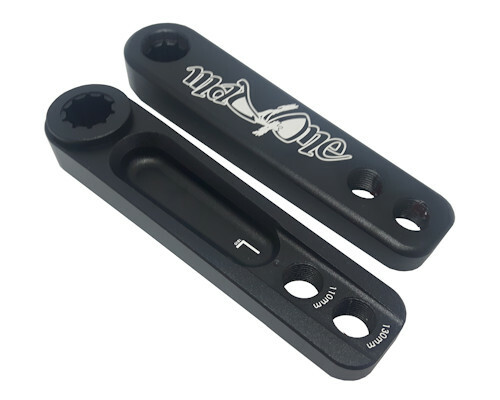 Thanks to the larger diameter, the 6-Pin can be made out of ALU ERGAL 7075 and this gives them all necessary mechanical characteristics to be the perfect crank for Trial - Street - Flat- Muni. 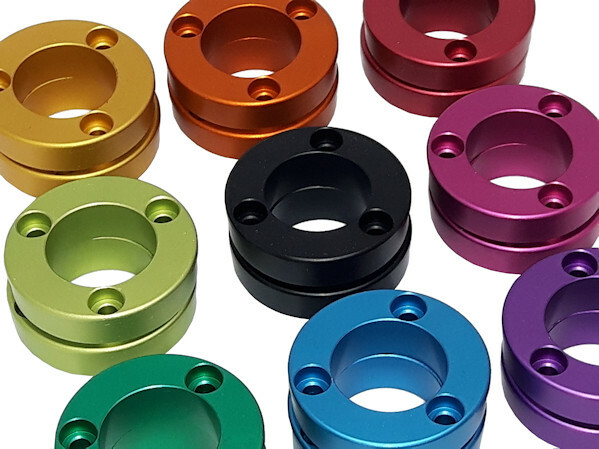 Our tests have shown that the ISIS Hub made out of the same material (the strongest Aluminum Alloy available on the market) can be used in Freestyle and Competition without problems. 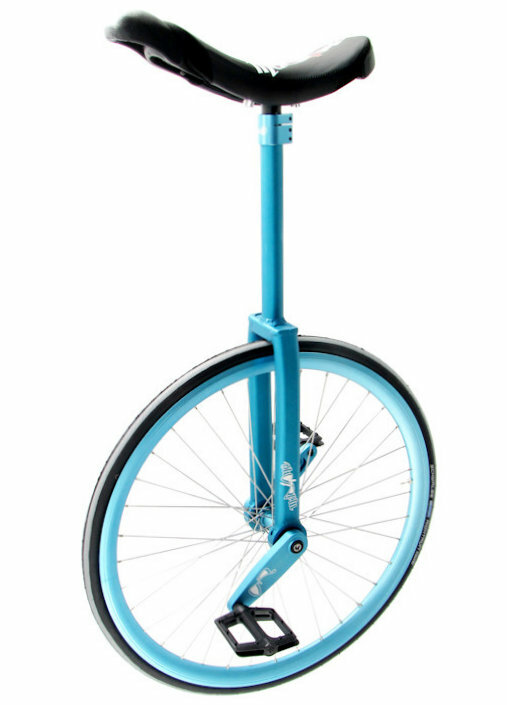 However its behavior changes when the unicycle is under heavy stress: we have experienced that it is enough to make10 DH-drops of about 100 cm with cranks of 140mm and a 75-kg rider to break the Hub. On the contrary the 6-Pin Hub can be used also in the most extreme Trial, without problems. Now a last consideration on the concept "components for Competition": the Aluminum used (ERGAL 7075) has specific mechanical characteristics that enable us to produce hubs relevantly light, however strong enough. If the material is stressed close to the possible max. load, Aluminum (contrary to steel) resists less. In fact, each time load is near to the max. values, we have invisible micro-cracks in the Aluminum. If stress lasts, the material suddenly breaks, even if the load has never exceeded the max. possible value. Unfortunately, it is not possible to determine the lifetime "under stress" of a material, because it depends on many factors which are difficult to detect and calculate. According to our experience also the lightest cranks we have developed have last more than enough in Competition and in Training. The lightest ones have usually lasted 3-6 months. The following version, slightly heavier, has lasted 18 months if used in the worst situations. The actual version is more robust. We do not have yet sufficient information to determine properly their max. lifetime, however, we can already say that they will last for sure more, than the previous versions.